Windsurf Foil Free ride, performance, easy and accessible. Fly to start with 6 knots with our Windfoil. It’s so easy, you will not believe. our W-foil is 100% full carbon. You can adapt this Windsurf Foil to all the board in the market with Deep Tuttle box. This Windfoil is one of the easiest and upgradeable of the Windsurf market. You will be able to change the size of the wing if you want to go faster and slower. More the front wing will be big, and easiest and earlier you will start to fly. More the wing is smaller and faster you will go. If you try this foil, you will fly to the first way, you will never stop to windfoil after to try. 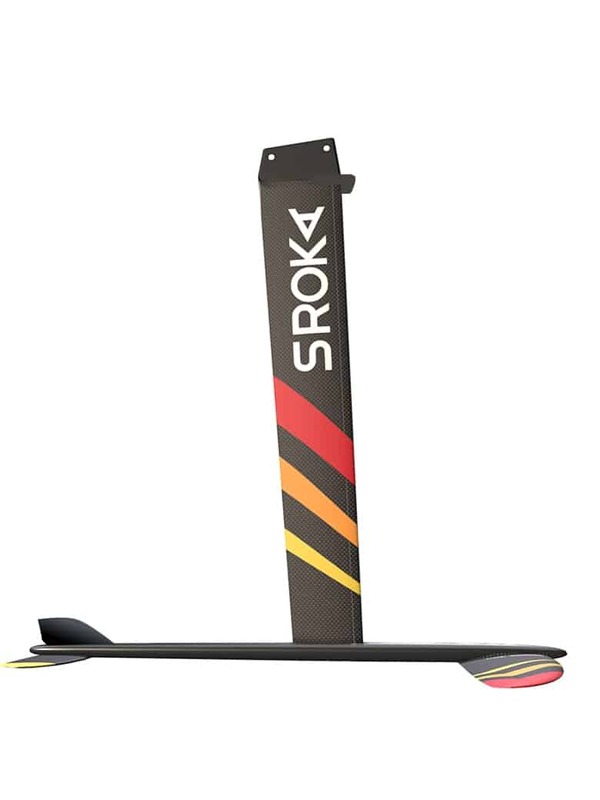 Sroka’s W-foil windfoil followed on the heels of developments in kitefoils. 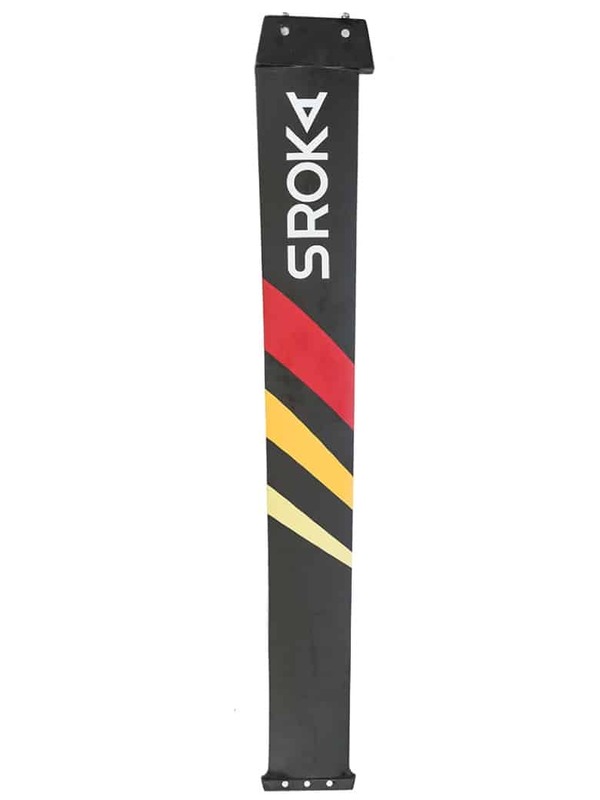 There’s a new a design and a new look for this Sroka W-foil, with ease of use our prime objective for this first version. 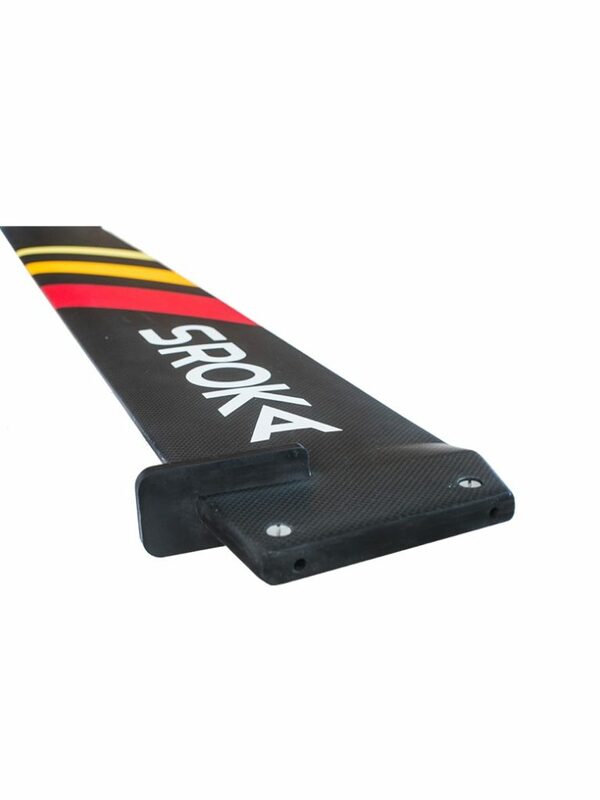 All carbon parts are 100% full carbon to increase overall rigidity and give an improved feel for the foil beneath the board. 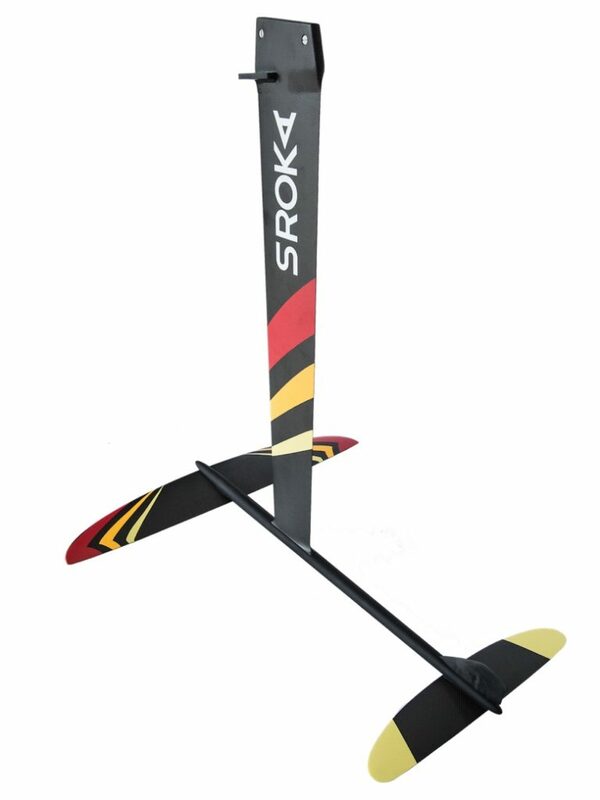 With a surface area of 1000 cm2, our RS Large wing gives you rapid take-off, still with excellent glide and speed. The wings and mast are carbon, and the fuselage in monobloc aluminium for maximum rigidity. We worked especially hard to reduce drag to optimise this windfoil’s performance. Its wings are fixed beneath the fuselage to further increase the foil’s rigidity and hold at high speed. The mast plugs into a mast insert and is held in place by three screws. EASY, FAST AND ULTRA STABLE! We tested a variety of wings to increase stability at both low and high speeds. Every wing was tested using hydrodynamic simulation to optimise performance. We totally redesigned the stabiliser to deliver improved longitudinal and lateral stability. The mast is joined to the fuselage with an insert to improve overall rigidity. This windfoil offers outstanding accessibility. We conducted tests with novice foil users, who started to fly above the water on their second outing. And if it’s a real sensation of speed you’re after, you have the option of a faster wing (RS – Medium). 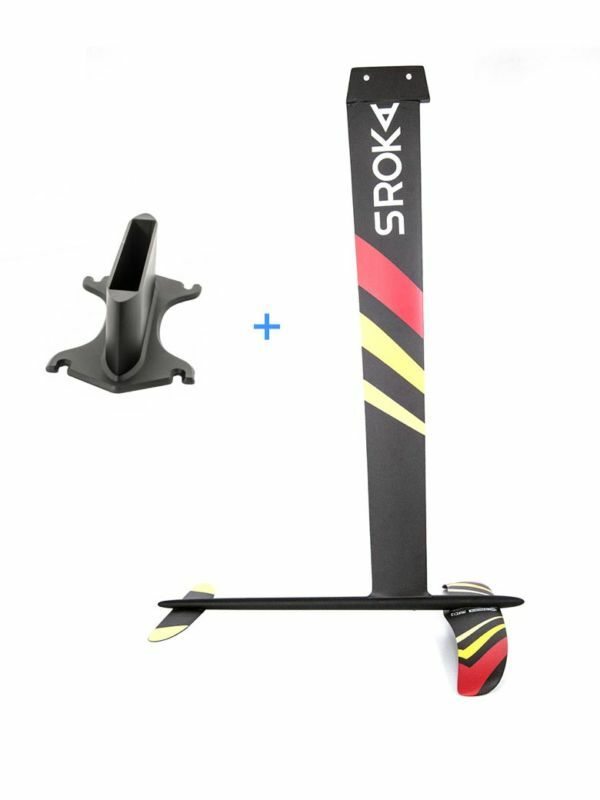 The RS-Medium wing gives you stability, and a smooth ride at high speed. You can scale up this windfoil as you progress, by reducing the size of the forward wings. You’ll be amazed at how scalable and accessible this foil is. 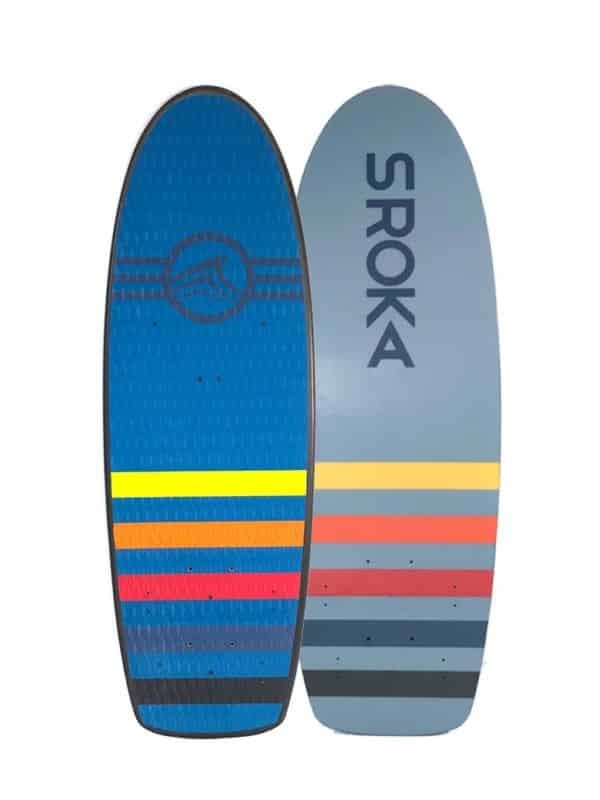 The Sroka Windfoil offers the best value for money on the market.